Brad, don't click on it! 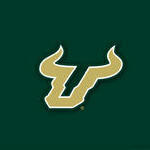 Is this the biggest mens basketball game in the history of USF vs UCF? He is tough not to like. Class individual, GREAT coach. Give this man a raise. We are really lucky to have him. Hopefully he is in it for the long haul at USF.